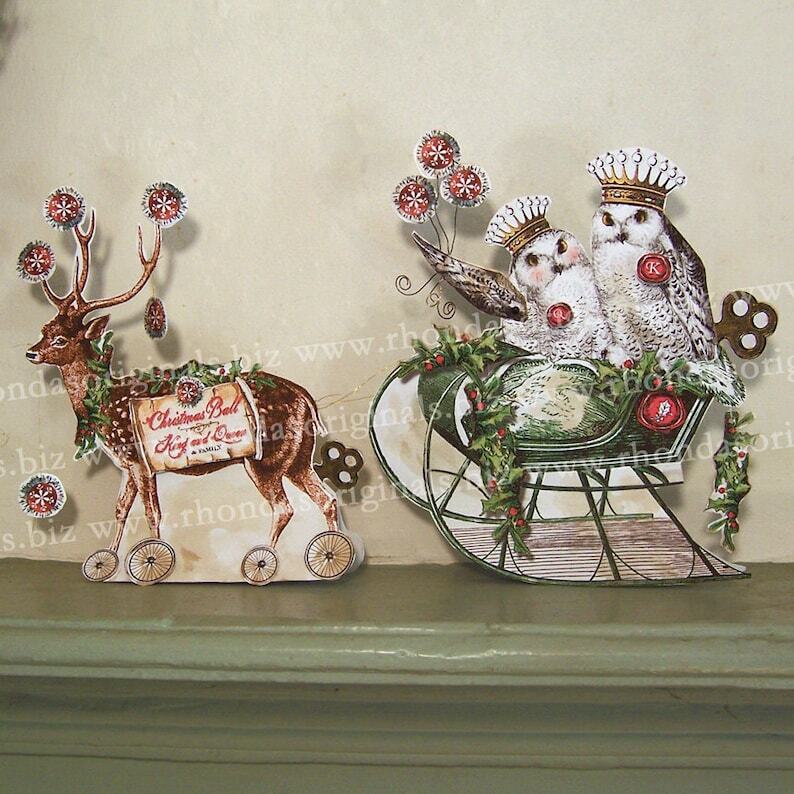 This INSTANT DOWNLOAD digital owl king and queen paper doll is one of the characters that makes up my Steampunk Victorian Christmas Paper Doll Parade. Simply print out in color using your inkjet printer, cut, assemble per my instructions, and stain the card stock character with coffee to make it look like an actual antique! You can also use the vintage Victorian images in your paper craft and scrapbooking projects! All of my Christmas paper dolls make great 3D Christmas cards, too! XP9 - The owl king and queen are hosting the Christmas Ball. Windup key gives a Steampunk look, wheels spin. Snowflake ornament and holly garland dangle from thread. Queen's wing moves on brad. Ornaments hang from wires. Blank signage included so you can write your own special message on the reindeer's back. BONUS DOLL: I have included a free reindeer doll that doesn't have signage on his back (not shown in photos). It is beautiful! Thank you! I’ll start putting it together this weekend.